Had a whole day out again, it's my life once I'm back to Penang. Headache over something which I'll blog about it soon after I feel it's time to show. 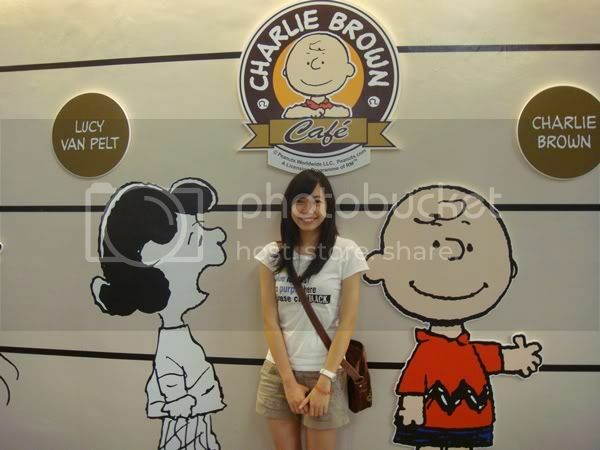 Went to Straits Quay to meet up some friends yet we were reached there earlier than others; were luffed around and I saw Charlie Brown. I totally forgot its existence, will find some time to go there again and get more shots. When I thought the meet up was to have some cackle and laughter, they actually planned to watch the football match (MU vs Arsenal that day) at Finnegan's Irish Pub and Restaurant. Luckily Jhu was there with me, at least both girls wouldn't get boredom throughout the night. Happy to meet you up girl, too bad I need to leave earlier and dump her there. It was a great night indeed.